Fluence pickups are free from the hum, noise and frustrating inductance issues that plague even the most coveted wire-wound pickups—revealing pure, uncorrupted and musical tone. This is the Killswitch Engage Signature Set, which packs tremendous versatility into a single set of pickups. Voice 1 begins with Fishman’s Modern recipe, but Joel and Adam prefer a tighter bass for more note definition and screaming midrange and harmonics. In the bridge, Voice 2 contains a unique vintage/medium output hybrid passive tone, equally great for cleans, crunch, and searing leads, while the neck produces a crystal clean, fluid voice. 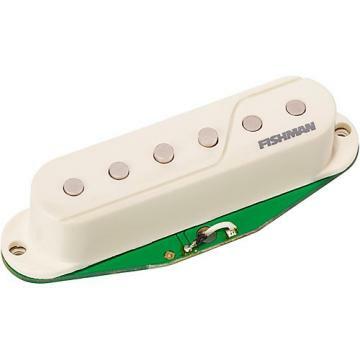 In addition, there are unique single coil voices for each pickup, to nail the perfect modern active “hot” coil split, and vintage passive true single coil tones. Order today and drop this system into Old Faithful. You won't believe it.